It happens every time a certain type of MMO comes out. PvP-centric, skill-based, sandbox, it evokes memories of the glory days of UO, SWG and Shadowbane, of Asheron's Call and Anarchy Online. Even the early days of WoW, the great Southshore - Tarren Mill brawls that emerged were a far cry from the homogenised fare of today's theme park MMOs. And fans always get let down. Vanguard was a glorious vision but McQuaid is hopelessly impractical, Darkfall was mean-spirited and full of exploits, Age of Conan became horribly bland after its first magnificent 20 levels and Warhammer stole too many of WoW's features to remain distinctive from it. I could iterate numerous reasons why Crowfall is different but at core there's one point that stands out. It's a really really good idea for a game. 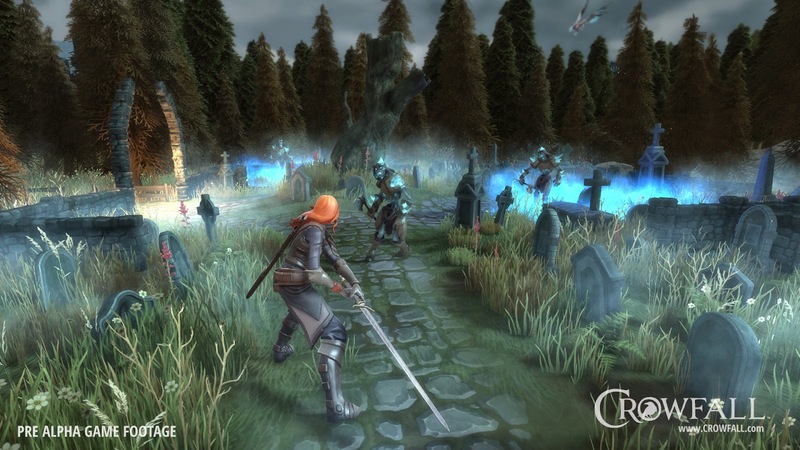 Crowfall entertains through the conquest of destructible kingdoms. These mayfly realms are where all the good crafting materials are hidden and this full economy crafter-oriented realm V realm game will see players aggressively attempt to grab the juicy ore, metal and wood before each realm collapses into zombie apocalypse. And that's such a good idea, such a good basic game mechanic. It's why chess stays fresh, you place the pieces anew each match. Imagine an Eve where the Goon spider, sitting fat and smug in Deklein, gets unceremoniously ejected to high sec each year and has to begin its games of diplomacy and conquest afresh. Crowfall has a very distinguished crew, a wonderful crafting and class system but so too have other projects. It's the Risk style of board dominance that makes Crowfall so exciting and imo so likely to repopularise the sandbox nice. Play Crowfall. Because it will the THE Game of Thrones. Is it safe to rat here? "Is it safe to rat here?" 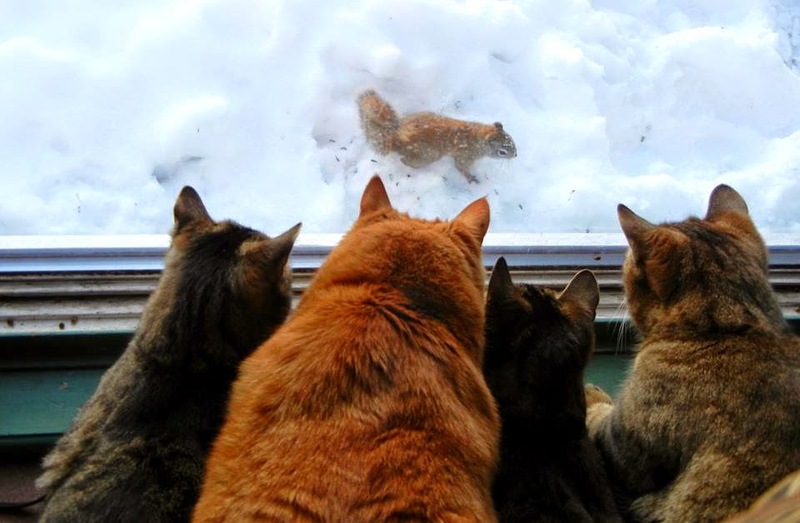 "Well there's a neut in Local but I don't think he's active." 3 years ago Eve news reporting was rather in the doldrums. EN24 covered most of the main nullsec fights but was somewhat sporadic and rather anti-CFC biased. Eve Tribune had after a long and stalwart effort petered out. The print magazine EON, run with very high quality standards almost since Eve's launch, finally folded. In fact the best Eve news site was not something that purported to be one but in fact the awesome blog of Ripard Teg: Jester's Trek, which was brilliantly written, insightful and averaged around 500 articles per year. In August 2012 this changed sensationally with the launch of TheMittani.com. I remember looking at the site on the first day and the site then was very strange indeed. No articles yet, no news, no leaders but an impressive wall of legalese claiming copyright, jurisdiction, rights over privacy and numerous other sundry legal privileges. From day one it was aiming at a professionalism and size that was truly ambitious in scope for what is after all rather a small hobby. It seemed like someone was making a site to sell - which is rather understandable if one knows about the money made from some of the WoW sites. From the start the site aimed to professionalise Eve news and raise the bar. The site has always looked fantastic and articles have often been very high quality. Allegations have been made of pro-CFC bias and from time to time that's certainly been true. The editors have always said they're keen to attract writers from outside the CFC but they've generally struggled to do so. There also seems to be a gap between what the editors are trying to achieve and what the comment moderators are trying to achieve. Editors eagerly seek out alternate perspectives while commenting that "Goons are lying" or some such gets people promptly banned. If TMC added one very worthwhile news source in itself its wider influence may end up being even more significant. Most immediately they had a salutary effect on EN24. EN24 has actively been trying since the launch of TMC to keep up with its rival and has adopted many of the same innovations first seen on its rival. It now covers wider geek culture, has its own forums, and has twitter and facebook presence. We've also seen Crossing Zebras morph from a podcast into a full Eve News site with strong opinion and historical pieces and excellent youtube series including the nullsec recap pioneered by Hendrick Talladar - picked up after he got sacked by TMC and ships fits with Elise Randolph. CZ has a word cloud on its front page and currently the most sought for word is "Hendrick" which should give some idea of how significant a hire this journalist is. TMC meanwhile continues to run its own version of the nullsec round-up but in my opinion neither one is quite as good as when Hendrick was doing them. Recently we've seen a new site emerge: The Eve Neocom - your interface to the universe of Eve Online which shares the attributes of ambition, a team of writers and multimedia that the other news sites have and which elevates them above being mere multi-writer blogs. In short it's a good time for people who enjoy reading about Eve. And if you do something interesting in game don't be surprised if some journalist convos you and asks for an interview. I recently had a go at writing for TheMittani.com. It was a good experience and I'd definitely recommend it. Unfortunately I became rather burned out on Eve so it wasn't good timing for me and I decided not to continue with it after struggling for most of January to motivate myself to write something. 2 articles = 250k isk. More articles gets you more isk and if you're particularly keen they offer you an editor post. I wrote an article that sparked lots of comments and a follow-up from another writer so it was a good debut article. It's hard to adjust to working with a team. On my blog I just bash out some random rant and it's done and dusted. Very occasionally I might do some proper journalism or an interview but normally it's just a typed opinion. Working with an editor requires a writer to be much more on top of things. So I submitted a suggestion for an article I wanted to write. checked back a few times before it was green-lit then wrote my article then found an editor for it who gave me some gret feedback concerning explaining myself more clearly, then I amended it and sent it back to the editor, then it got ok-ed then I published it. It's a lot of back and forth. Now that's fine when you're keen and checking the site several times a day. It's a chore if you get behind. After I wrote my article before I knew it Christmas was here, then I started playing a different game then bang, month over and I hadn't reached the minimum necessary to get paid. January rocked up and I continued to not really play Eve and it got to like the 20th January. I thought "right, better get my skates on" and pitched an article, it took a couple of days for it to be green lit, then I wasn't motivated/didn't have spare time, then it was like Jan 27th or something and there was no way I'd get an article written, bounce it back and forth off an editor a few times, publish it, then do a second one before the end of the month. And it's really not worth being a paid writer if you're not meeting the minimum to get paid. None of this is a criticism of TMC. Nor even of myself - I didn't expect to burn out, I just did. So should bloggers consider writing for pro sites like TMC? Working with an editor is a privilege. It makes you a better writer, allowing you to see where other people perceive poor communication in your writing. Getting published is an ego boost. Having the site behind you is a useful tool, I had it in mind to interview some people saying I was writing for TMC. I would feel a lot more confident about approaching a famous player or a CCP staff member with a major Eve site behind me than if I were just doing it for Stabbed Up. Coping with all the bouncing back and forth of submissions, re-submissions and so on is fine when you're motivated. Strongly motivated. I guess being syndicated for sites like EN24 is the lazy way to do it but at TMC it definitely felt like work. Writing for a wider audience improves you. Comments are very critical and very perceptive and someone always will take exception to any opinion you express on a high profile internet site. I chose not to get involved in the comment battle on my piece but it was a passionate and spirited argument. The comments also picked up a mistake I had made with one of my pictures which made me think about my journalistic technique. See, I had written a piece on isboxer without actually trying isboxer which I realised afterwards was poor and unprofessional from a journalistic point of view. If I wanted to be a good journalist I should have set aside my distaste for the program and tried it out. Other projects I had in mind included interviewing people or creating the news, definitely more labour-intensive than my usual blogging. So in conclusion I would definitely recommend writing for a site and TMC is a very professional one which will make you a better writer so long as you're committed to learning and improving. There's been some criticism of TMC articles this week on reddit but for me it's not what other writers contribute that will determine how much effort I put into crafting an article but the process itself of receiving scrutiny and reflecting on practice. Big thanks to everyone at TMC and sorry not to have made more of a contribution. I may come back at some point when I have more going on in Eve.